Home/Blog/ Video Production/What Is The Ideal Explainer Video Length? So, here’s the situation: you are about to develop your brand new explainer video. You want to make it engaging and compelling enough so as to quickly grab your audience’s attention (you know you have strong competition out there). But you also need enough time to pass out your key messages. With this in mind, what’s the ideal length your explainer video should have? We have some valuable tips to share with you. Join us! Grabbing people’s attention in today’s world is a huge challenge. Just for you to know, the average attention span has decreased to 8.25 on average. This means you have to create highly catchy and attractive content that hooks your audience right from the start, and also keeps their attention all the way through (or, at least, makes them remember something about your content). Videos up to 2 minutes get great engagement. 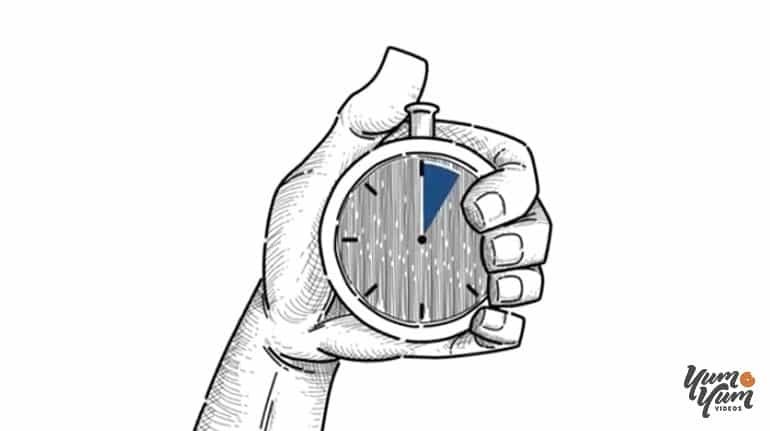 Keeping your video under 2 minutes will keep your audience hooked and entertained. There is a significant drop of engagement between 2 and 3 minutes. From 6 to 12 minutes, you have another sweet spot to take advantage of. Is There A “Perfect” Length for Your Marketing Video? 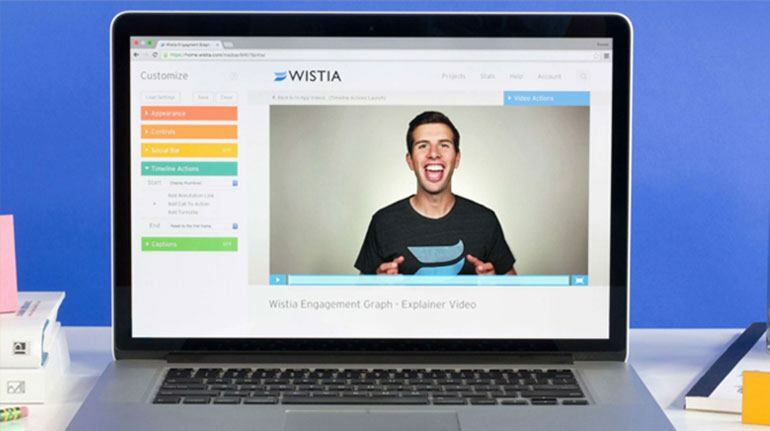 Now that you have gone over Wistia’s key findings, please don’t think that every marketing video should last 2 minutes to meet “the perfect standards”. It not about cutting down your 8-minute video to 7 minutes, because it won’t make a huge difference in engagement. In the same line, it’s not about trimming your 10-minute video to make it fit with the 2-minute scenario either. In video marketing you have lots of possibilities: behind the scenes videos, how-to videos, educational videos, animated marketing videos, testimonials, documentaries, and SO much more. Of course, depending on the content you develop, the length of your video will vary (just because some content warrants longer videos). It’s important that you have a clear idea on who you’re trying to reach, and the specific action you want them to take. This will certainly have an impact on the length of your video. It’s not the same to educate viewers and wanting them to take a specific action as simply entertaining them. Be clear on this. The devices, the platforms and the overall expectations of your target audience will also play a key role in the length of your video. For instance, according to some stats revealed by Hubspot, videos under five minutes in length seem to be widely chosen on smartphones. Regarding social media, the ideal video length on YouTube seems to be 3 minutes. The expectations of your audience also play a key role: the title (what it is about, how it is written, etc.) , the thumbnail you use, the platform in which you promote it, etc. are all key factors that will lead your audience to think that the video will be short, or long. Meeting their expectations is a must! For tutorials, the ideal length could be between 45 and 90 seconds. More than 2 minutes will make the viewer feel that the content needs more concentration and time. Creative commercials should be between 15 and 59 seconds. We all know that commercial ads tend to be very short. Crowdfunding videos could have an average of 2.5 minutes. In this type of video, the viewer is willing to learn about a specific “project” and that´s why they require more time. Customer testimonial videos can go between 60 and 119 seconds. Again, the viewer is interested in what the speaker has to say; they have a previous interest about a specific brand/product and is well predisposed to “invest” a little more time. As you may know, an explainer video is a short animated video that aims at explaining a business idea in a simple, engaging and compelling way by using attractive visuals and cool animations. Basically, it explains what the company offers, how it can help the customers with their problem and why that product/service is the best option in the market. Due to its idiosyncrasy, this type of video shouldn’t be long. Keep in mind that the idea is to give a compelling solution to your audience’s pain points. You have to be straightforward but persuasive enough so as to make them take action. How Can You Avoid Dropped Views In Your Explainer Video? We have some tips and tricks to share with you so that you can get the most out of these 60/90 seconds! They are a great option to encourage your viewers to take action in the direction you want. 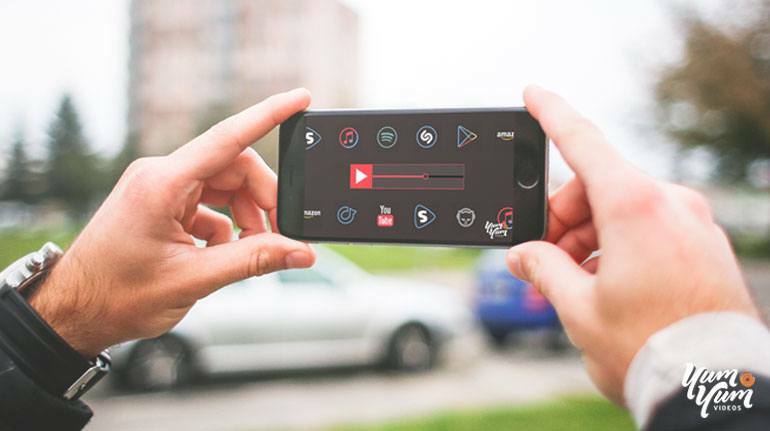 As they add interactivity to your videos, they’re perfect to keep your audience’s attention, while you also encourage them to “take the next step”. If used the right way, they are an amazing resource to keep your audience’s attention (you have plenty of alternatives if you get creative). Check out some valuable tips on how to add Call to Actions to your explainer videos. So, these two are great to avoid dropped views caused by the length of your video. Start your video by delivering, in an appealing, clear and straightforward way, the main problem you intend to solve. This will help you quickly grab your audience’s attention, as they’re looking for the right solution for their needs. Make sure your animated video is 100% custom. This way the viewers will identify with the characters, landscapes and backgrounds and will feel that the video was specially made for them. Believe me: this helps a lot to boost engagement and trust towards your brand. Give your video the best quality, in every aspect of the video production process: this will make it unique, captivating and -ultimately- effective. Give your explainer video the right length. Keep in mind that 160 scripted words in English is equal to around one minute on video. So, for a 90-second video you will need 240 words. You can download our free eBook on “How to write a script for an explainer video” to get some valuable information about this and other aspects of the scriptwriting process. Finally, one gold tip you can’t miss: hiring a professional video production company that can help you in each of these stages. This is the only way you will get to a high-end marketing video that gives you the ROI you expect. At Yum Yum we have wide experience in explainer video production and, what’s more, we take care of every single detail to assure the best results for your marketing video. We always develop 100% custom videos to meet your specific needs: we want to develop a video that helps you increase conversions and sales through brand engagement and trust. We also have one of the best quality standards in the market and have worked for companies from different sizes and industries. So, no matter what your case is, drop us a line and we will be glad to help you produce your next explainer video! Remember: the length of your video will depend on several factors. Regarding animated marketing videos, don’t forget to follow some basic guidelines to assure great engagement and get the most out the timing you have. Finally we invite you to check our video marketing resources, where you’ll find lots of information on explainer video production, the scriptwriting process, inbound marketing techniques, and more!